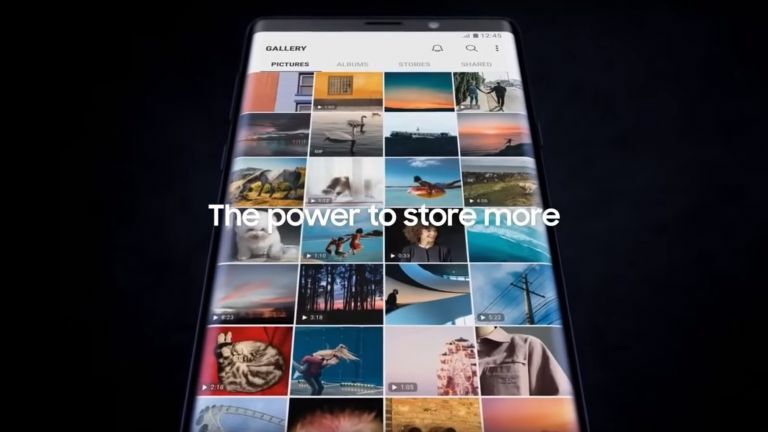 Just when we thought the Galaxy Note 9 leaks had run dry, a mouth-watering new official Samsung video has confirmed that the new handset will feature a very tasty 1TB of internal storage space. To put than in perspective, Samsung's summer 2018 large flagship phone, the Galaxy S9 Plus, only allowed for 656GB of maximum internal storage space, while Apple's iPhone X only allowed for a comparatively paltry maximum of 256GB. Originally spotted by SamMobile, the video confirms that there will be a 512GB model of the Note 9 and, excitingly, the handset allows for an additional 512GB of storage space to be added via a microSD card. A phone with 1TB of storage sounds awesome to us here at T3, and especially so in light of today's continued push towards cloud-based storage solutions, which still leaves a lot to be desired given the patchy mobile coverage in some areas. From being able to store massive hi-def music libraries and 4K movies, to accessing and editing large RAW image files and being able to install and play today's most graphically impressive AAA games, local high-capacity, high-speed storage is crucial. The Samsung Note 9 is being officially unveiled on August 9. And, by rocking a monstrous 1TB of internal storage space, which is more than many laptops and tablets, the Note 9 is sure to be well placed to fend off competition from the Huawei P20 Pro, Honor Note 10, HTC U12 Plus, and Apple's 2018 new iPhones, among other devices. Indeed, if Samsung can deliver a powerhouse internal hardware spec that is the same level as this best-in-class internal storage, then the Note 9 looks like it could be the phone to return the South Korean maker to revenue growth, priming it perfectly for its much-rumoured Galaxy S10 and Galaxy X one-two double play in 2019. The Samsung Galaxy Note 9 is being officially unveiled on August 9 at Samsung's Unpacked event, so be sure to check back into T3 then for the full picture.